Each month, ministers are emailed a request for updates to their availability. A few ministers have replied to the email rather than using MSP to make their changes. The next scheduling period will be from December 1 through December 31. Please remember to inform us of any dates you will not be available to serve in this period before Saturday, November 17. Once you are logged in, you can click on the “Help” tab at the top of the screen to see this short video or this printable guide that explain step by step how to update your information. If you have any questions, you may contact me by replying to this email. You should first click on the link supplied to go to your Web Terminal. Then, go to the My Profile tab. 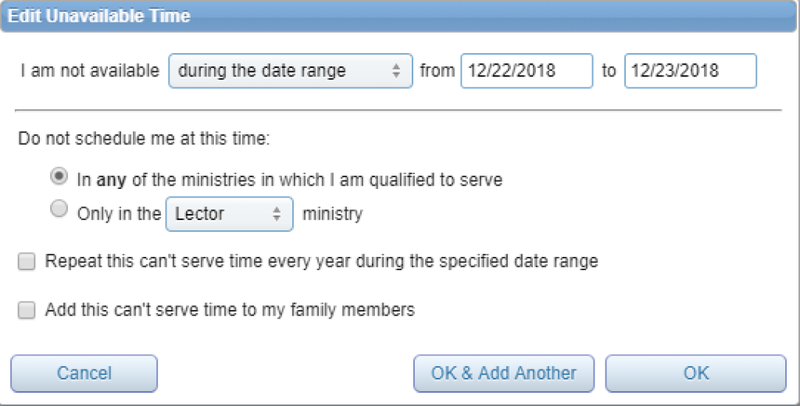 The Edit Unavailable Time box comes up with the default "during the date range", If this is what you want, you can click on the date boxes and a calendar will pop up for you to select the dates. You can usually leave the remaining options as-is. Click on the OK button to enter that date range. 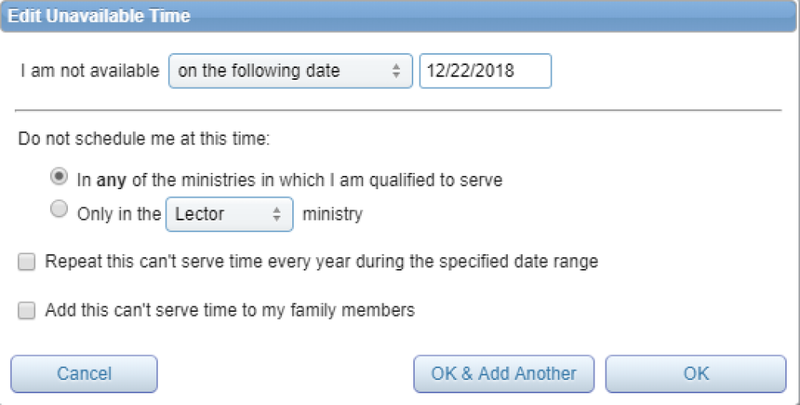 If you wish to make only a single date unavailable, click on the drop-down box after the words "I am not available" and choose "on the following date". Then use the next box to pick a date using the pop-up calendar. Again, you can usually ignore most of the other options. Click OK to enter your date. 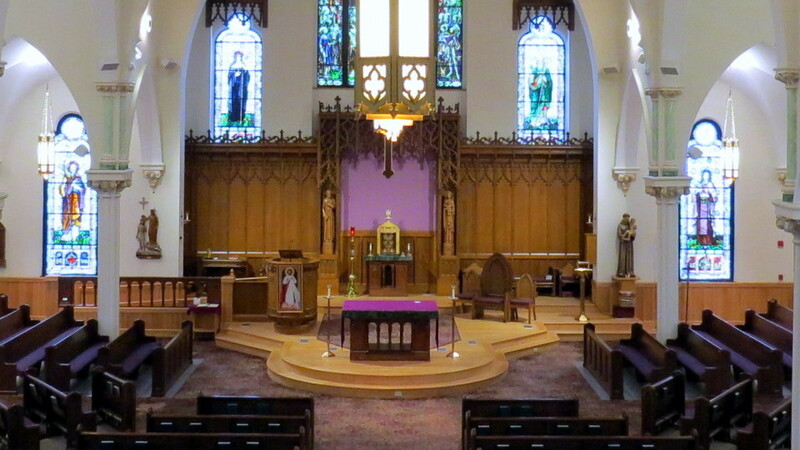 Less often, you might not be available for one or more services temporarily. 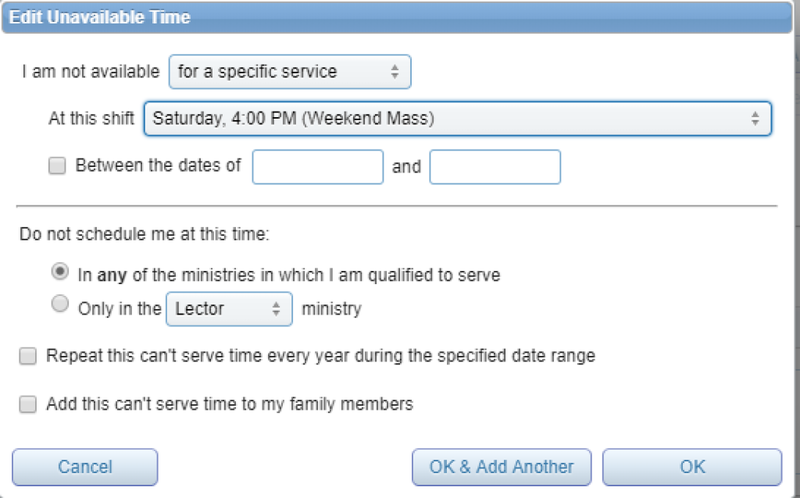 Instead of removing them from your preferences, you can click the drop-down box after the words "I am not available" and click on "for a specific service". 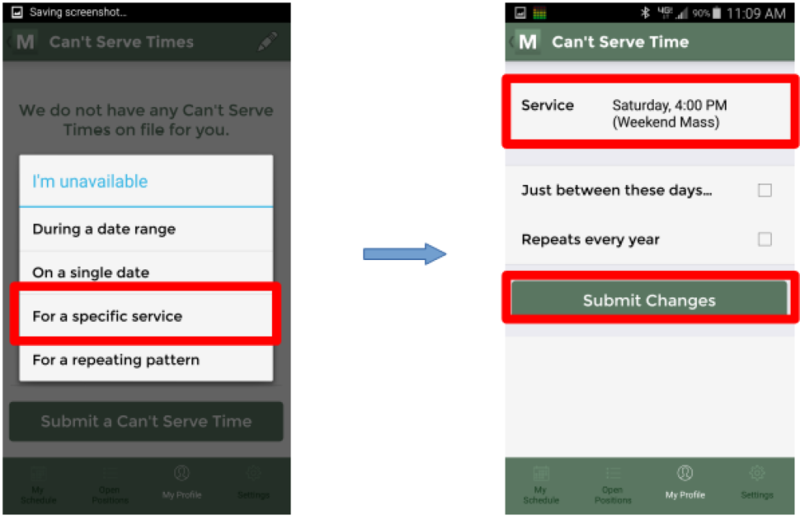 You can then choose the specific service in the drop-down box after "At this shift" and optionally add the dates this applies to. Don't forget to click OK to submit this! Lastly, if there is a pattern of unavailability, e.g. 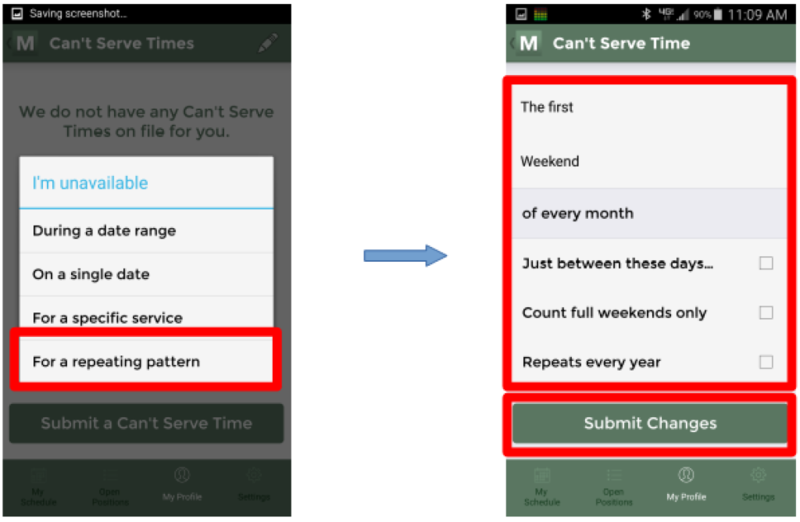 the first weekend of every month or every other week, you can choose "for a repeating pattern" and click on the appropriate choices. Click OK to enter them. If, at any time, you need to remove an entry, simple click on it and click the Remove button. 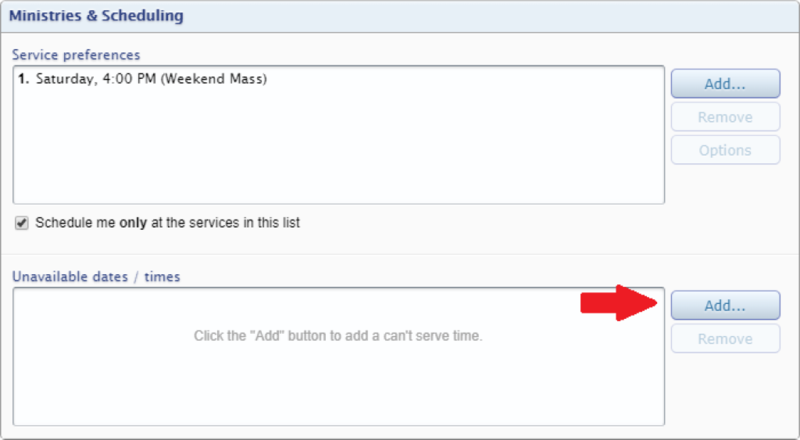 To add unavailable times via the MSP App, go to the My Profile tab and click on Service Preferences, then click on the Add Preference button.